From the Chair is Where I Blog. There are a few blogs that I check out everyday, and I mean almost everyday without fail one of the blogs is Centsational Girl. Love her great home decor projects. Today she is having a blog link up, so I'm linking up! Although, I do have an office (spare bedroom in desperate need of being re-vamped, hmm, do I smell new project) and a craft room, but I seem to find myself posting from my chair. This chair was a gift from my parents when I was pregnant for my daughter. I had searched for more of a modern looking nursing chair and this is what I found. Super comfy and has many, many hours of use. Although I am now long done nursing, by a year, this chair keeps on living in my living room. I guess you could say now it's my blogging chair! You can also check out my MacBook in the picture proudly decorated with some Stampin' Up! Decor Elements (Check out the right side bar for the new Decor Elements catalog). Love me a Mac, must come from my Graphic Arts days. As a demonstrator, I was lucky enough to get my hands on this fabric ahead of time. The fabric all comes in extra long fat quarters, quilters you know what I'm talking about, non-quilters basically it is a 1/4 of a yard piece just cut a bit different, well fatter. Stampin' Up! 's fabric is longer than a normal fat quarter as you can see the striped fabric (non-SU!) for a normal fat quarter. The brown material is SU!, you can see the extra inches in length. Check out the cute skirts that Shelli (Co-founder & CEO of SU!) and Sara (Shelli's Daughter and fellow Demonstrator) had made by a friend using all SU! products! Here is a card that I put together the other day using some of the new Candy Cane Fabrics with the Extra Big Buttons. 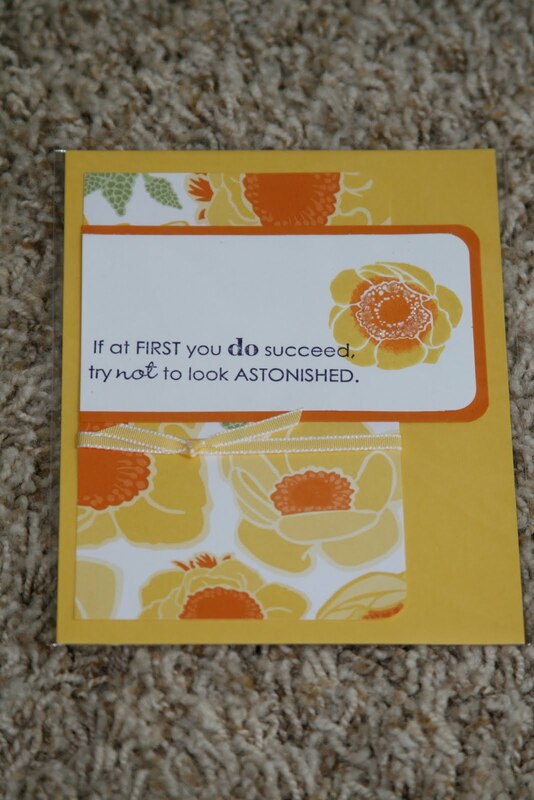 The flower is actually a pin attached to the card, that way the person who receives this card has something fun to wear. The flower pin was made by using the flower folds die for the Big Shot and all 3 Candy Cane fabrics. I simply cut out 4 of each flower (large, med, small) and folded each flower in half, layered, and stitched them together. Easy. You can check out detailed instructions here. I did make mine a bit different by using one type of flower for each "flower" but you get the idea. I also used the new Candy Cane Christmas designer series paper on background of this project, love the built in red glitter! 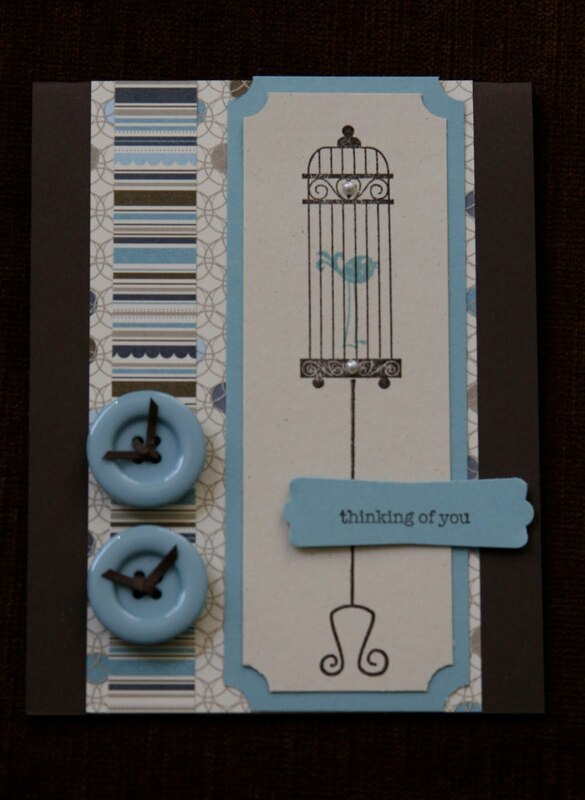 The "thinking of you" stamp is from Tiny Tiny Wishes, my go to sentiment stamp set. Check out these cute pumpkins I just whipped up today. It's only a 1,000 degrees here, well maybe 90, so let's get our Halloween decorations out. Actually, Brent Steele created these great pumpkins at convention this year, so I totally used his idea and made it my own. Plus, it helped that SU! is so great to their demostrators that attended convention they gave us an extra 20% off the product used in this project on top of our normal 20% off! It pays to be a demo! Here is what I did: I used the Trick-or-Treat Decor Element from the Spooky Things set, Black Flourish Jewels, and Raven Lace Trim. All of these items are the in Holiday Mini Catalog and will be available on September 1st (Click on icon on right sidebar). If you are in the Grand Rapids area contact me for your copy. The ceramic pumpkins were purchased at my local "big box" craft store with the big lobby. :) I of course was able to score them at 50% off. I then simply put on the words and the jewels, so quick and so easy. I did snip off a few of the jewels on the main "or" jewels to use on the other pumpkins. The set of jewels also has two lines of straight jewels. I used the lines to make the extra curves above "trick" and under "treat". I also used the Raven Lace to add a little extra pop to the project by wrapping it around the stems of the pumpkin. I also should tell you that the leaves on the pumpkins were more purple than I cared for so I simply took a sponge dauber and black craft ink to make them darker. Here you can see the set up on my buffet in my living room. As the time gets closer to Halloween I will add more fall items to the set up. So stay tuned! 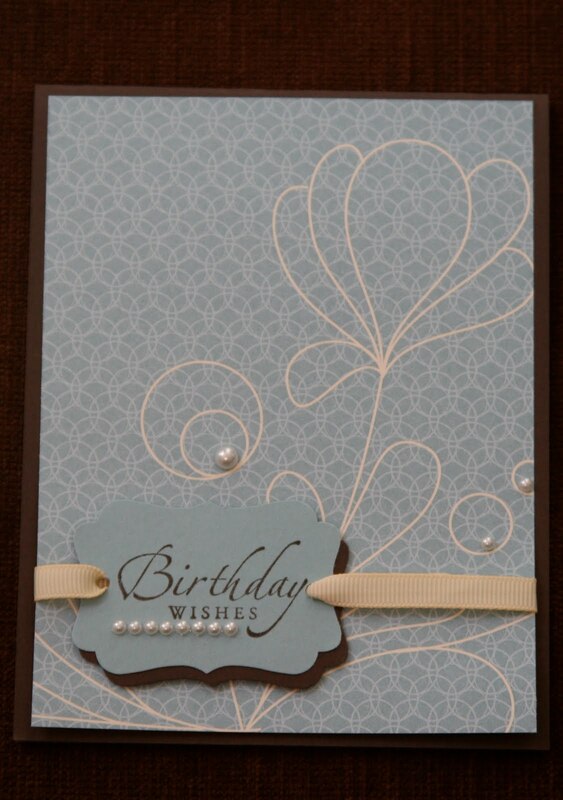 This was a simple and quick card that used the back side of some paper scraps. This is still the Elegant Soirée DSP with a bit of flair. I added a few of our pearls for a bit of pop and called it a day. Sneak peak: I am working on a sewing project. Let's say I'm about half way done. If you can guess what I am making I will send a brand new Cherry Cobbler Classic Ink Pad your way. Let's see those guesses!!! I can't believe that summer is almost over!! So sad, but what a great one it has been. :) Thought I would share a few last summer pictures with you. Here is my adventure baby. Always having a ball no matter what it is, she can find the fun in it. This is a picture of my 3 favorite girls, 2 are my nieces and one is adventure baby. Did I mention that my adventure baby is a bit of a bully??? The beach is my favorite place in all of Michigan and maybe the world....or maybe I should say beaches in general. 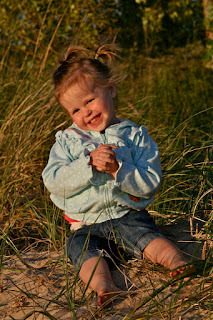 As you can see adventure baby had a blast running through the dunes in Pentwater while we were camping for a few days. I was cleaning out my craft room and found a scrapbook canvas behind the door that I had almost forgot about. I used just reqular old spray paint to paint the canvas. It was already primed (white) but I didn't want it to be so bring white. I used "Heirloom White" by American Accents, love that color. It is a nice creamy white, like an antique, or an heirloom. 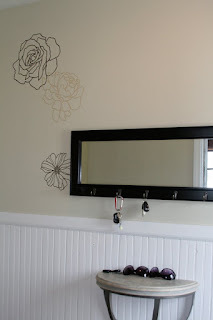 I took it out into the yard and used some of that great paper dropcloth that Stampin' Up! sends us for free in our boxes to cover the grass. Last time I just painted right onto the grass, thinking it would mow right up, not recommended by my hubby. After than I took contact paper and cut out letters. There are several ways you could do this, of course using your big shot is the easiest. You also can print out your letters on copy paper and then cut them out with your craft knife. That way may take a bit longer but you may want to mix up your fonts like I did. Then arrange into words. It just takes a while to get them all laid out straight. I used a clear grid to help me. The picture shows you what my canvas looked like once all the letters were applied. Back out to the yard (hubby threw large drop cloth away) so some did get onto the yard. I sprayed the blue over top of the letters and the canvas. Don't you just love it?! I do!! I am not sure where this is going to live for sure yet in my house but I will post pictures once I have it all set. Be inspired to make your own. Enjoy! So, I know we all have things that we "want" in life but don't really need. I have been thinking about it a lot lately, not like Ohhhhh, I WANT that soooo bad. More like, hm, I saw that used on so & so's blog, I think I would like that too. #1: A dremel tool of my own, with fun spinning sanding things & one that can cut metal. My hubby hides his from me, may have been when I asked where is that thing that cuts metal. Statements like that make him nervous! I just needed to trim off part of a floor register that wasn't opening quite right. #2: A pink drill: Yep, want one of my own with pink drill bits. I figure if it's pink then there is no denying that it is mine and it won't make it's way into hubby tool chest. #3: Magnetic Paint in Turquoise: How fun would that be! The main floor of my house is mostly accented in Baja Breeze like colors. Saw it in a magazine and have been thinking what I could make magnetic. #4: New blinds in Espresso for my living room. #5: To go along with the blinds, new curtains to cover my sliders in my living room. So even though this list seems really self-centered, and keep in mind I NEED none of these things, it's kindof fun though. Come and join me for an afternoon of shopping at the Hidden Ridge RV Resort in Hopkins, MI (Just off 131, near Gun Lake). 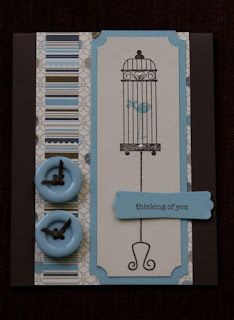 I will be showcasing lots of new ideas & new products from the Holiday Mini Catalog. September 25: Nicole A's Workshop 5pm. If you know Nicole A then today is the day for you to be at her workshop! We will be focusing on Christmas & upcoming holiday plus, having a TON of fun! In honor of World Card Making Day I will be having a stamp a stack class. Come on by and make 10 cards for $10. We will be concentrating on the upcoming holidays & other occasions. Are you BRAVE enough to make YOUR own Christmas cards this year? Come on by for some great ideas and help planning out your Christmas cards. It really is easier than you think to do. You can do it! (ALMOST) EVERY Wednesday is open project night at my house. Bring your own project that you are working on & come on by around 7:30pm. (my daughter's bed time :) ) We will stamp the night away! Wednesday Stamp Nights resume on September 1st! The start of the school year that is! 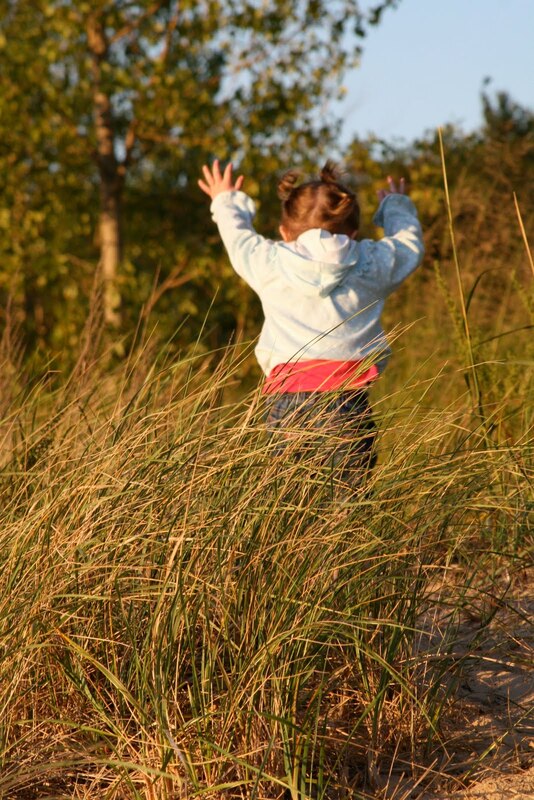 I know that some schools are already back in session in different states but here in Michigan students can not start until after Labor Day (but we go till mid June). Some of you may know this already about me but if not here is a little glimpse into my life. My day job is as a professional counselor (meaning one with a state counseling license and a masters degree) at an alternative high school. I LOVE my job, some days more than ever, but I do. I really feel that it is a great fit for me working in an alternative high school. Before I began working in the schools I spent 5 years working in the local mental hospital with adolescents in a secure (locked) residential program in various roles. 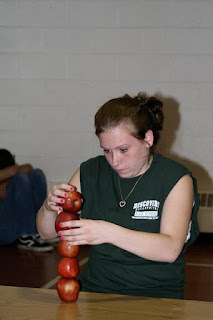 Those jobs gave me a great understanding of teens, what they face, and the extreme side of them. 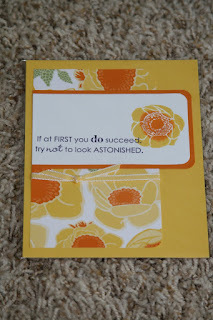 I thought I would share what I do outside of Stampin' Up! with a few pictures of my students. The first few are at field day, I as the event coordinator get to plan the games for field day! This year I came up with some new games including the Ritz game. I originally saw this on the Ellen show & thought I have got to do this. So I did. The goal of the game was to eat all of the Ritz crackers (stuck to the plexiglass with squirt cheese) and whistle Happy Birthday before your opponents did. Hilarious! One of our grads (you can tell by her green shirt) All my students wear a uniform t-shirt (orange) except the grads we let wear green that day. This was amazing he is usually so shy and hardly talks in class. Well, he won the contest & worked for it! 2 grads & 2 teachers. The student on the left took off his cap and gown before I could get a picture of him. Part of the graduating class of 2009!!! Have you ever tried to track down 40+ students all at once in a crowd? Does not happen. There you go a little glimpse into my life as I get ready for a new school year. 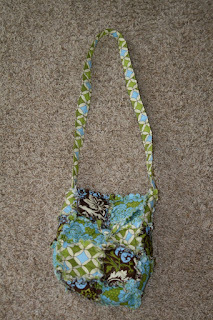 Fabric Bags: 2 new ones! 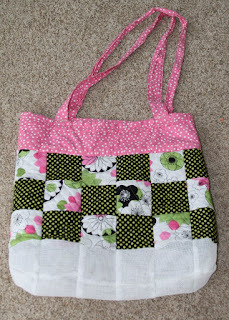 Cute bags made with the Scallop Square Die are all the rage right now. They are easy as pie to make and even a non-sewer like me can whip one out in a couple of hours. So here are a couple ideas that may not be the norm that everyone else is making. This cute little messenger bag was a gift from my roommate Tonya to me at convention. I love the colors, totally me! 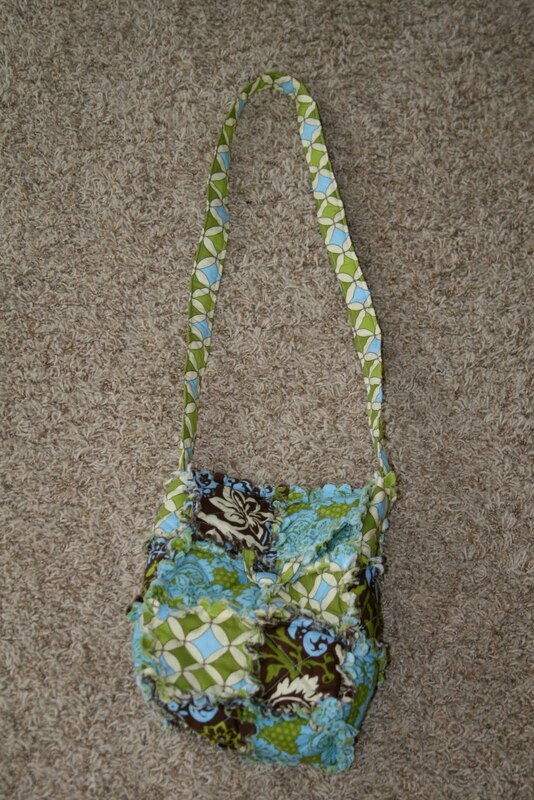 It is the perfect size for a purse or even a lunch bag. Check out the cute closure in the picture below. This is my creation! I made it this spring for our trip to Myrtle Beach in April. I wanted a BIG beach bag that could hold at least 2 towels and toys, plus the normal garb a 2 year requires. I also needed it to be able to filter out the sand. At my local fabric store I was able to find the perfect netting/webbing. I'm not sure what it's normally used for but it comes on a roll in a bunch of colors. It is quite stiff and does the job great! 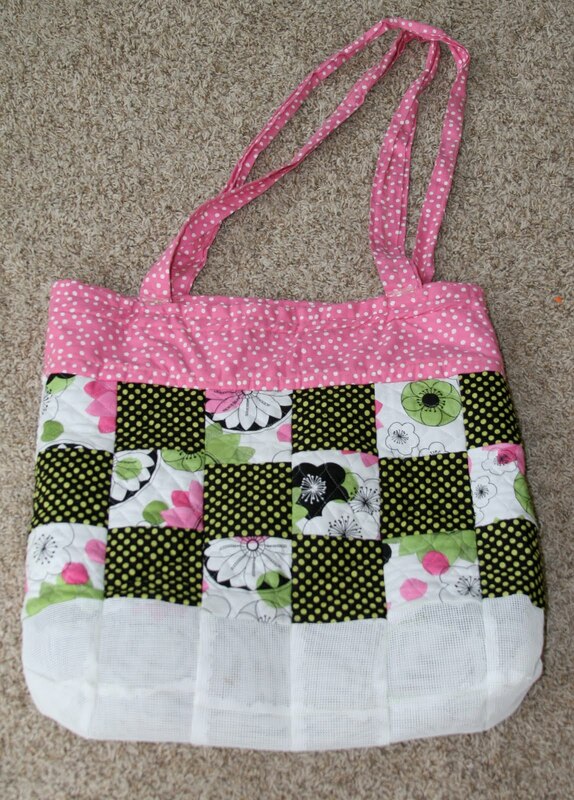 I also used a short cut and used pre-quilted fabric, so all I had to do was sew the squares together. It has gotten a ton of use this summer and no sand in the bottom of MY bag! About a week ago or so I showed the Mudroom picture form convention that I really like. I wish my mudroom was like that, with a little locker like book case..... Well, the reality is my mudroom is way to skinny & unless they made one 4 inches deep it would never work. I do however have some Decor Elements in my mudroom & have for quite a while, at least 1 1/2 years. All I did was paint the upper part of the wall a lighter color than the Kraft Decor Element. I believe I used Rice Paper from Sherwin Williams. To spruce it up I also used a set of Chocolate Decor Elements too. The longest part of this whole process was figuring out where to place them. The Pup mirror is from Target, many moons ago, & the small table is from Southern Living at Home, also many moons ago. The Decor Elements I used are the Manhattan Flowers and are $23.95, I used 2 sets. Linda Hansen: Doesn't she look great!!! Do you recognize her? After being laid off from SU! she has started her own speaking company and is still a demonstrator. Jaron & Lori were also both laid off during cuts at SU! a year or so ago. Jaron: He EVEN sang to us! He is still in the SLC area working at another creative company and working with the Miss America Pageant. His family is all doing good too. 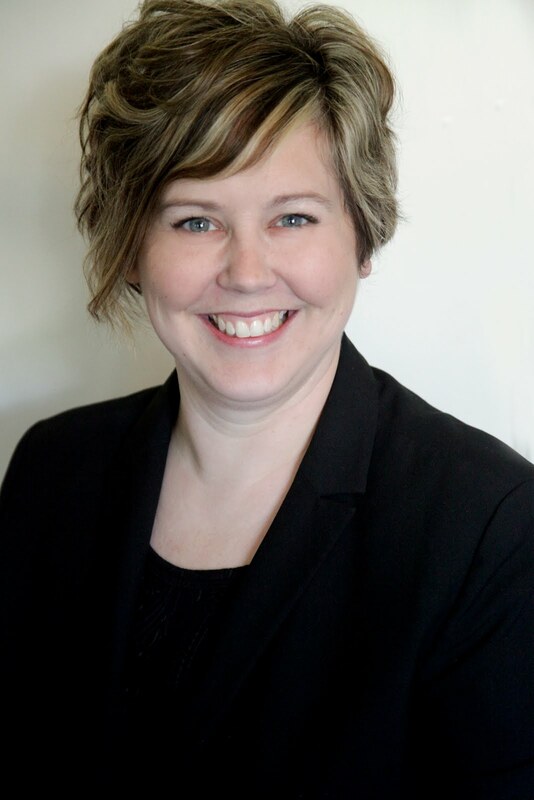 Lori: Didn't share a whole lot about what she is up to but she is still in the SLC area too. Her hubby is still working at SU! Here are the Make n Takes from the event. Love these stamp sets! Just Believe & Artistic Etchings. I have been working on this project since May, not all the time & rather slowly but it is finially coming together. While my hubby was away riding his motorcycle in Tenn with the Military Sportbike riders, I was busy at work. He fully knows that if he leaves me for a week I WILL paint something. It's destined to happen. One year, I totally redid a dining area in our old house. Another, I started a bathroom remodel (in the old house) with slate flooring. The the first year in our new house I took 2 days off work to powerwash and paint our swimming pool. So, this year I started this project. I am working on a basement re-do. It was time to make this area my own, since we have lived here for 3 years. Here is a sneak peek of my classroom area. I used a decor element in a frame totally inspired by SU! and the old Decor Element catalog. Then a stencil for the opposite wall. You can even see a glimpse of some of my displays out. My Cousin Mary and I have been working on a plate project for quite a while. Actually, we talked about it for about a year and then thought about it some more, then finally got to work on it this spring. A few years ago at convention I believe it was Carrie or maybe Shannon, showed a plate project. For each holiday you would have a different "plate front" that you would put out. I filled that idea away in my brain until I ran across a group of girls that made some at a crop. They proudly showed their plate and my cousin exclaimed "we have to do that". So we are!! Here are a few of my favs so far. We are working in order of the Holidays or activities as they come up. We are stuck for Labor Day though. Anyone have some great ideas? Yep, that is Kiwi Kiss that you see on the St. Patrick's Day Plate. I LOVED this color and thought I would use it on this project even though it is retired. I also included orange on my plate to include Northern Ireland in the celebration. To make the shamrock, I simply used the large heart punch and joined the points together. Father's Day: My hubby is an avid motor-cycler. There is always at least one bike in our garage if not 2 or 3. I should add that he is not a "Harley" rider so the dirt bike stamp had to do, even though he sold his dirt bike a few days before Father's Day. I used Tiny Tiny Greetings for the Happy Father's Day Stamp. Ohhh, I LOVE the beach. 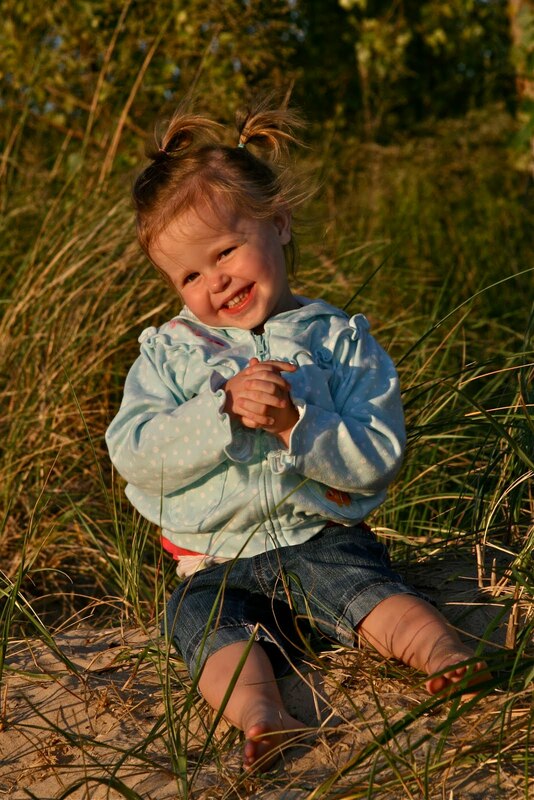 Since we only live about 30 min from the shores of Lake Michigan we are able to visit there a lot in the summer. I even visit in the winter.... :) Something about the beach. Yes, this great shell stamp set is retired but I keep it around because SU! doesn't have a replacement for it yet. When they do, I'll try to part with it. 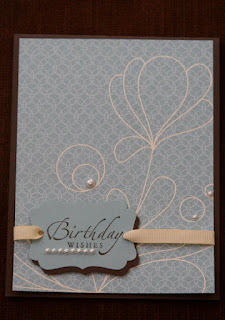 I used natural cardstock and stamped in Basic Black. Then I used my aquapainter to watercolor the shells. Easy to do & looks oh so beachy. If I'm not at the beach I'm at my pool!!! When we moved several years ago, I searched and searched for the perfect house (or as close as I could get) with a inground pool. Well, worth it I think! So this plate is because it's Pool Time! I used products from the summer mini (can you tell which ones) and my big shot to make the flower and the letters. Thought I would share how it all goes together. All I did was put 2 velcro tabs on the plate and then the opposite sides on the back of the plate front. Stick them together and you are all set! Anyway, moving in a different direction. It occurred to me that there were a few convention swaps that I made that I never shared with you so here they are. A Night to Remember Swap: Using the new level 1 Hostess set, Because I care. New Products Swap: Check out that CUTE owl punch! Decor Elements: Wish this was my mudroom! Stampin' Up! Sweet Shoppe, part 1.